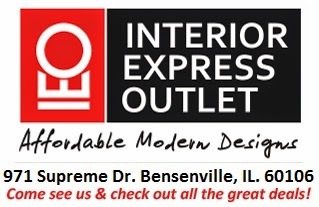 Chicago Furniture | Interior Express Outlet Blog: Win 4 Ivory Ghost Chairs! Starting today, we will be giving away 4 open box Ivory Ghost Chairs! You must first like our Interior Express Outlet-Raffle fan page on facebook then comment on any post containing an image of a Ivory Ghost Chair (there will be many). This means you can enter more than once! The raffle will be lasting one month. The winner must be able to pick up the chairs at our warehouse in Bensenville, IL.